Surrogacy is a method to assist reproduction ,helping intended parents (IPs) to start families when they otherwise could not. Intended parents do pursue surrogacy for many reasons and work with a gestational surrogate( a woman who carries a baby till term). 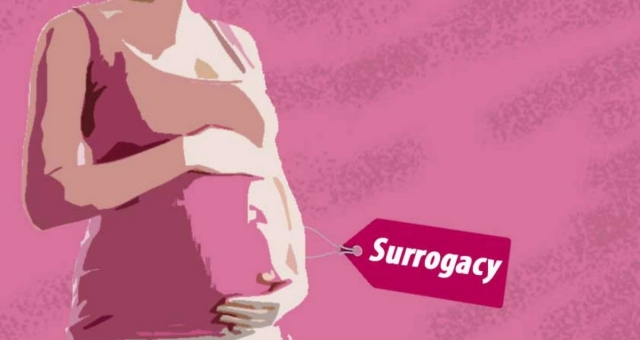 Circle Surrogacy only provides gestational surrogacy arrangements, which means the gestational carrier has no genetic connection to the child. Through in vitro fertilization (IVF), embryos are developed in a lab (sometimes with the use of an egg donor) and are transferred into the surrogate mother’s uterus. In a traditional surrogacy arrangement, a surrogate becomes pregnant with the use of her own eggs. It’s a woman who gets artificially inseminated with the sperm of intended father . Then carries the baby till delivery then gives baby to intended parents raise. A traditional surrogate is the biological mother for baby , because her ovum is fertilized by the father’s sperm,or by a donor sperm . Using “in vitro fertilization” (IVF) to obtain ova (eggs) from the mother, fertilize them with father sperm, and implant the embryo in the uterus of a gestational surrogate. The surrogate then carries the baby until birth and the child is not genetically related to her because it her egg was not used. A gestational surrogate is the “birth mothe” while the biological motheris the woman whose egg was fertilized. As part of the Surrogacy agreement, she is obliged to give the baby to the Intended Parents immediately upon delivery. Surrogacy is getting popular all over the world, particularly in western countries where adoption is tightly controlled through long, sophisticated processes. Adoption often takes years of waiting, whereas surrogacy on average requires about 14 months to complete. Surrogacy creates families that share genetic bonds. 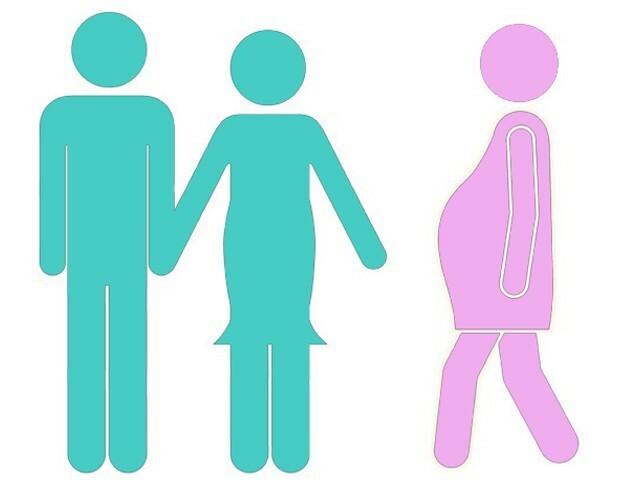 Children born through surrogacy are the natural, genetic offspring of their parents. This is a significant benefit over other reproductive options. become more common than a traditional surrogate. Intended Parents: The person(s) who will eventually become the legal parents of a child born through a surrogacy arrangement. In most cases, the Intended Father is also the sperm donor and legal father upon the child’s birth. The legal status of the Intended Mother is often less certain. Surrogate Mother (Gestational Carrier): A woman who has agreed to carry a pregnancy for another couple. As part of the arrangement the surrogate mother agrees to give custody and full parentage to the Intended Parents. Surrogate mothers may be compensated financially (as in the case of Commercial Surrogacy) or volunteer for the purpose of helping a childless couple conceive a family (as in the case of Altruistic Surrogacy). In-vitro Fertilization (IVF): A clinical procedure whereby a human ovum (egg) is fertilized in a lab and allowed to develop into an embryo. Embryos conceived through IVF may be used directly or more often frozen and stored for use in the future (e.g in Gestational Surrogacy). Egg Donor: If the future mother is unable to donate her own ova, for medical reasons ,a donated egg could be used. Donated eggs are available via many international agencies, or a donated egg from a family member or a friend . Donation agencies are a very reliable alternative, allowing the selection of an egg donor with an experienced consultant. When pregnancy is medically impossible, or risky to the mother’s health, or a man or male couple wish to have a child. If assisted-reproduction techniques, such as IVF failed . For people who might not be able to adopt a child, because of their age or marital status. It can be used to arrange a gestational surrogate. There are about 100 agencies in the U.S. and act together. An agency helps you find a surrogate and make arrangements. Signs a contract about her role and responsibilities in the pregnancy, such as prenatal care and agreeing to give you the baby after birth. According to the American Society for Reproductive Medicine ,surrogate should get a medical exam to check that she’s likely to have a healthy, full-term pregnancy. Also she should gets tests to check for infectious diseases such as syphilis, gonorrhea, chlamydia, HIV, cytomegalovirus, and hepatitis B and C.
Surrogates should get tests to make sure they have immunity to measles, rubella (German measles), and chickenpox. Gestational Surrogacy can be done using the intended parents’ own ova and sperm. However donated eggs could be also used. The requirements for a Gestational Surrogacy cycle depends on the specifics of each case. 1)Surrogacy with donated eggs: If the father sperm is used , he will visit the IVF clinic for sperm donation. Stimulation treatment is given to force the maturation of numerous eggs in the woman’s ovaries for retrieval and fertilization. During a woman’s natural cycle only one egg matures each month, a stimulation cycle can force the maturation of 15 to 20 eggs and make them ready for fertilization. Egg extraction is done using a large needle that obtains the eggs directly from the ovaries. In-vitro fertilization is done immediately after the eggs are retrieved, and the fertilized eggs are allowed to grow for 5 days and their quality is monitored. After 5 days ,the embryos are in the blastocyst stage, the embryos are frozen for futural use. At this time the surrogate is prepared for the embryo transfer. Embryo transfer takes place once the surrogate has been prepared (by a fertility protocol to thicken her endometrium and adjust her hormones). Once the surrogate has been prepared, the embryos are transferred to her uterus. After implantation the surrogate is monitored for 12 to 14 days. After the 2 weeks, a pregnancy test ( bHCG) is performed to confirm that pregnancy is achieved. Women who will use their own eggs for the surrogacy process undergo about 15 days of daily fertility treatments before retrieving the eggs. Intended mothers enter the clinic a few days prior to their menses and get some clinical tests and physical examination. The woman’s ovaries are stimulated by (Gonadotropin Injections) which is started at the beginning of her menses (determined after doing a blood hormonal test). Daily injections for about 14 days are given , and multiple mature eggs will have formed in both ovaries. The Ovum are collected around day 15, and the fertilization done immediately. The resulting embryos are then frozen. Embryo Transfer is done at any point in the future. Parents can go home soon after the eggs are fertilized. The legality and costs of surrogacy vary widely between jurisdictions, resulting in interstate or international surrogacy arrangements. Parental rights aren’t guaranteed after a surrogate pregnancy. The law continues to change as reproductive technology and the exact definition of a “parent” changes. After a surrogate pregnancy in sometimes there is still a need to pass adoption proceedings to get legal custody of the child. In other states, a “declaration of parentage” before birth allows avoiding need to “adopt” the baby. A contract like that may help if legal issues come up after birth. It can also outline agreements about a variety of possibilities with the pregnancy, such as twins or triplets. The quality of the father’s or donor’s sperm. The age of the woman who provides the egg is the most important factor that affects chances of pregnancy. If you’re having fertility treatment such as IVF or IUI then there are some risks you should be aware of,which range from mild discomfort to more serious conditions. How safe is fertility treatment? Having a multiple pregnancy or birth (twins, triplets or more). You’re 11 times more likely to have a multiple birth with IVF than natural conception. Many women have what’s called an elective single embryo transfer (eSET). This means that only one embryo is transferred to your uterus instead of two or three as has been common in the past. This considerably reduces your chance of having a multiple birth and all the health problems that come with that. Any remaining embryos will be frozen for use in follow up treatment if you want. Ovarian Hyperstimulation Syndrome (a severe reaction to fertility drugs),it is a potentially fatal reaction to gonadotrophin fertility drugs. It causes the ovaries to grow large and painful and can lead to fluid leaking into the abdomen. Around a third of women will have mild OHSS, which can normally be effectively treated at home with pain relief. Fewer women will develop moderate or severe OHSS but, in very rare cases, severe OHSS can be life-threatening so it’s very important you report any symptoms to your clinic. All pregnant women are at risk of having an ectopic pregnancy but women having IVF may be more at risk. This is due to the possibility that whilst the embryo is being transferred to the womb it could travel to the fallopian tube instead. Possible birth defects, though rare ,some research has suggested that fertility treatment could be associated with an increased chance of birth defects. It’s not yet clear whether the birth defects are a result of the fertility treatment itself or fertility problems in the parents. 2) Risk of transferring infectious diseases such as HIV and hepatitis to the surrogate so the egg and sperm provider must be screened before treatment can begin. 3)Also, until you have a parental order the surrogate can change her mind about the arrangement at any time. Most surrogates describe feeling empowered by the experience. Although surrogate mothers generally report being satisfied with their experience as surrogates, there are cases in which they are not. Unusual expectations include dissatisfaction,while others did not feel respected by the couple. Some women experience emotional distress as a surrogate mother. There may be a lack of access to therapy and emotional support through the surrogate process. Some surrogate mothers experience reactions that include depression when surrendering the child, grief, and even refusal to release the child. At age one, parents through surrogacy showed greater psychological well-being and adaptation to parenthood than those who conceived naturally. At age two, parents through surrogacy showed more positive mother–child relationships and less parenting stress on the part of fathers than their natural conception counterparts. At age seven, the surrogacy and egg donation families showed less positive mother–child interaction than the natural conception families, but there were no differences in maternal positive or negative attitudes or child adjustment. It is concluded that the surrogacy families continue to function well. Get the knowledge and inspiration you need to build a happy family — straight to your inbox.